The Macedon Ranges form the southern end of Victoria’s Great Dividing Range and feature a diverse range of natural and cultural features. 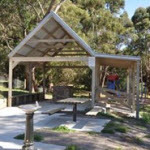 The 2,379 hectare park protects forested land along the ridge of the Range and offers great opportunities for bushwalking, scenic drives and picnics. 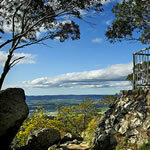 A large area on the summit of Mount Macedon has been set aside as Macedon Regional Park. Numerous walking tracks and Picnic Grounds are provided. Have a picnic – Enjoy a leisurely picnic at one of six picnic grounds spread along the ridge of the range. grounds and other park features. A separate parknote is available describing the Walking Tracks. – Douglas Road and other specified roads and tracks within the park provide cyclists with a variety of terrain and landscape. Some tracks link to other areas of public land. Scenic drives – A network of sealed and unsealed roads allows you take in the stunning scenery of the park by car. Some unsealed roads are subject to seasonal closure. On your way up the mountain be sure to take in the significant historic gardens of Mount Macedon. Horse riding – Horse riding is a great way to explore the park. 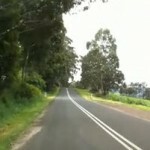 Riders should remain on defined roads and tracks at all times. Horses are not permitted on walking tracks, closed management tracks or in picnic grounds. A separate parknote is available on horse riding in the park. Some tracks have seasonal closures. Please call Parks Victoria on 13 1963 to check on track conditions.